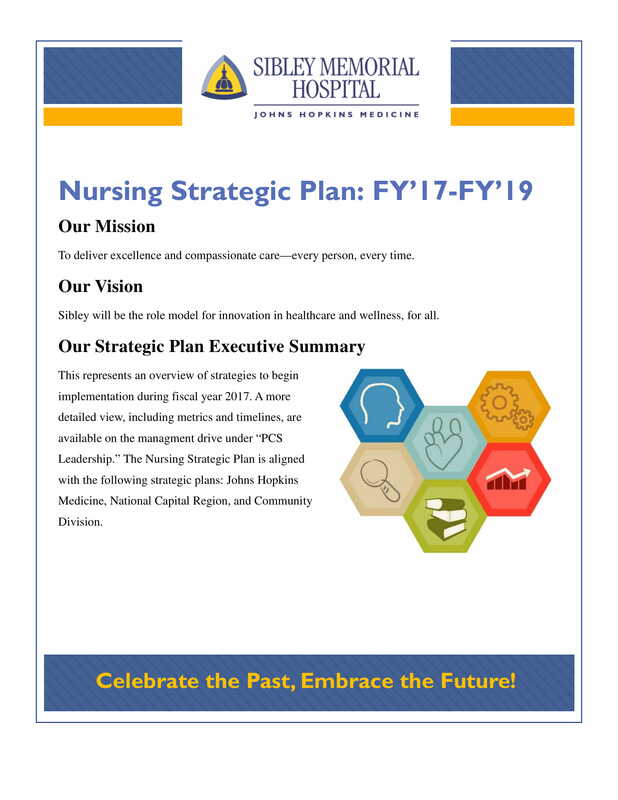 Nursing departments and divisions within hospitals, organizations, medical facilities, and academic institutions use a nursing strategic plan to ensure that nurses and the entire department will be prepared for future operations. 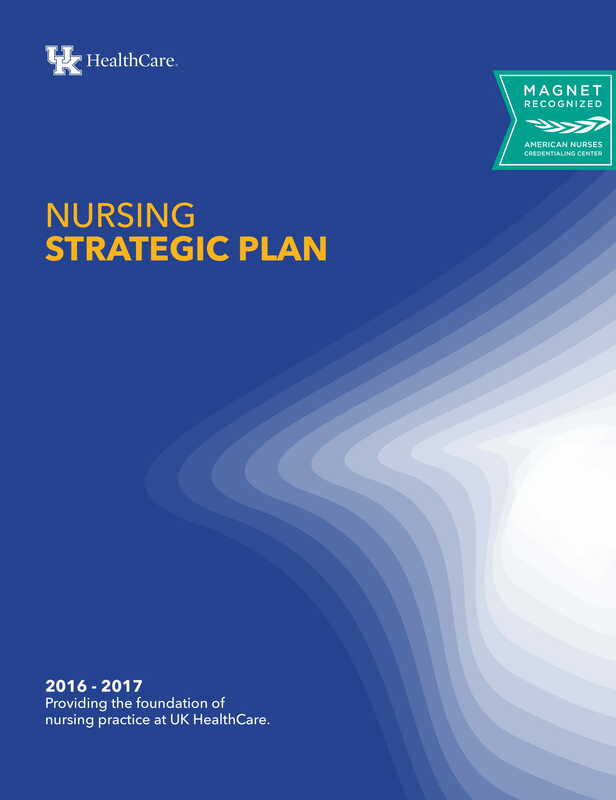 Nursing strategic plans, like health and safety strategic plan examples, provide an idea on how action plans and strategies can be implemented to achieve set goals and objectives. If you want your nursing department to be relevant, well-prepared, and organized, coming up with a comprehensive nursing strategic plan is a great idea. This document can help the entire department to become more organized and orderly especially when it comes to providing patient care and other services. 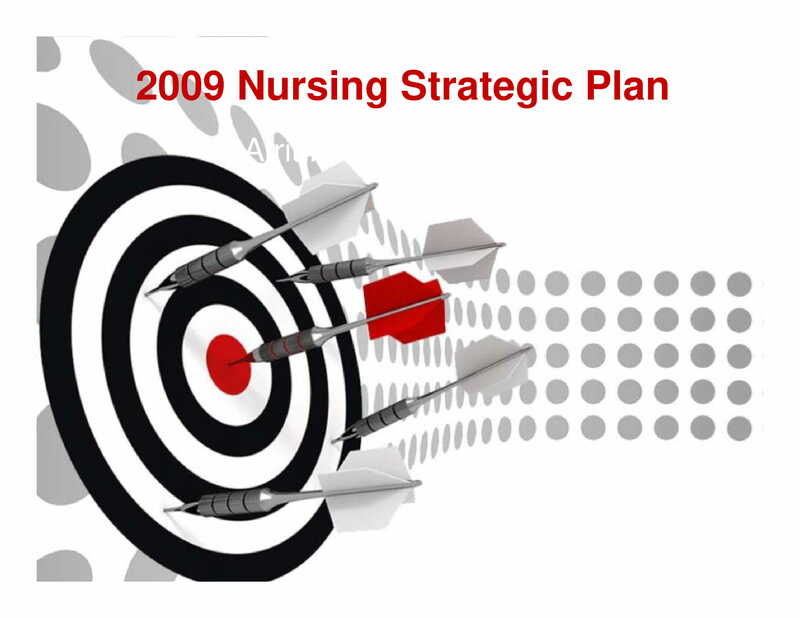 A number of downloadable nursing strategic plan examples are listed in this post to serve as your references and guides. Make sure to browse through any or even each of them so you can have an idea on how to develop your own nursing strategic plan. 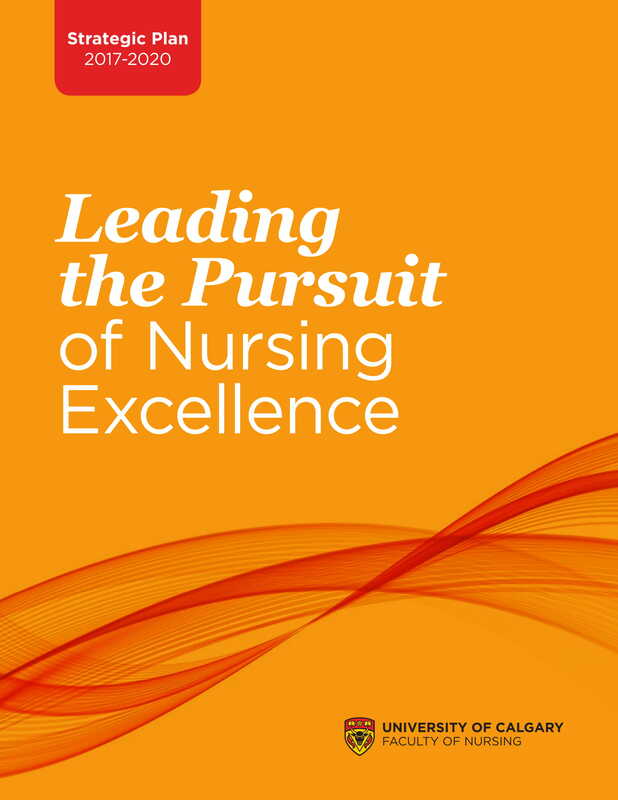 Why Is a Nursing Strategic Plan Essential? 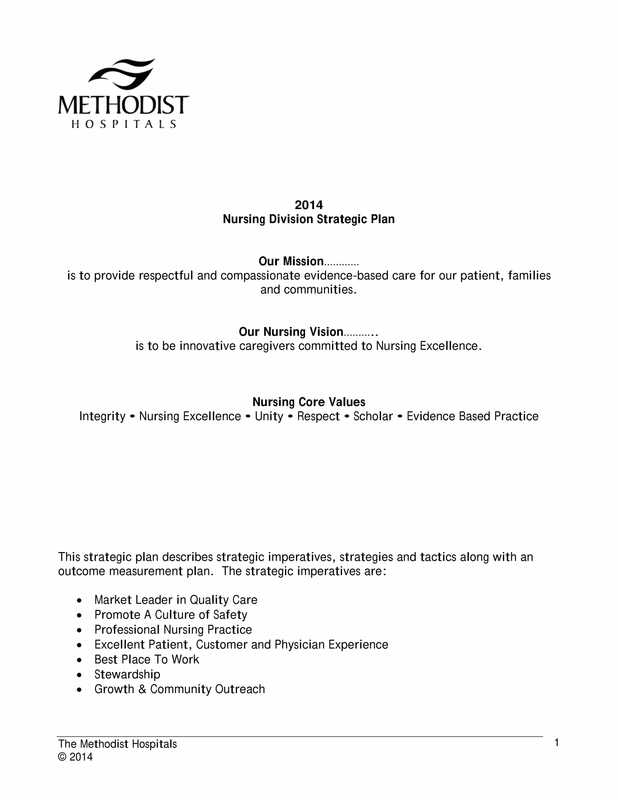 A nursing strategic plan presents the vision and goals of the organization. Hence, nurses can have a clear focus when it comes to ensuring that specific objectives will be realized with the help of their skills, time, effort, and expertise. This also allows the work processes and action plans of the nursing department to be aligned with that of the business. 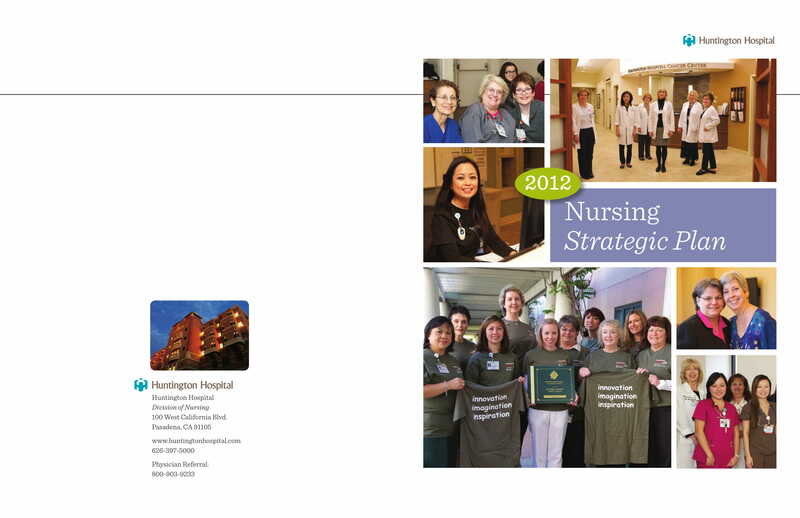 A nursing strategic plan can be used as a reference when monitoring activity results and process progress. This is very helpful in identifying the impact of certain nursing programs and protocols to the operations of the business. It is necessary for action plans, strategies, and tactics to be evaluated so that the business and the nursing team can identify all the processes that affect the team’s efficiency and effectiveness. 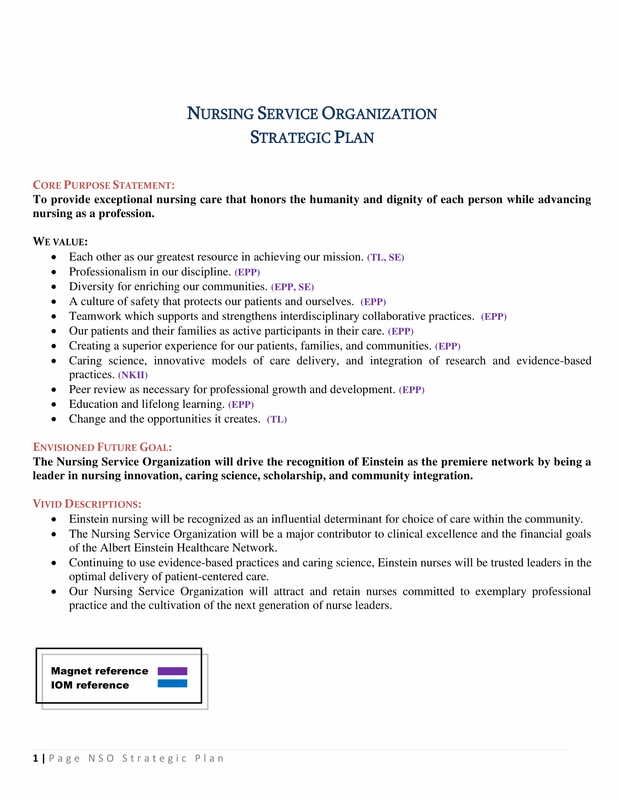 A nursing strategic plan promote the implementation of consistent and even improved work processes that can reflect the quality standards of the hospital or the organization where the nurses work for. Since a nursing strategic plan is already at hand, nurses can have an easier time in identifying the standards that they need to meet and the deliverable that they must bring to the table every time they are in the workplace. A nursing strategic plan helps nurses and nursing departments to be more strategic and tactical when facing situations and instances. Especially during unforeseen circumstances, nurses can be more guided with what to do or how to react. 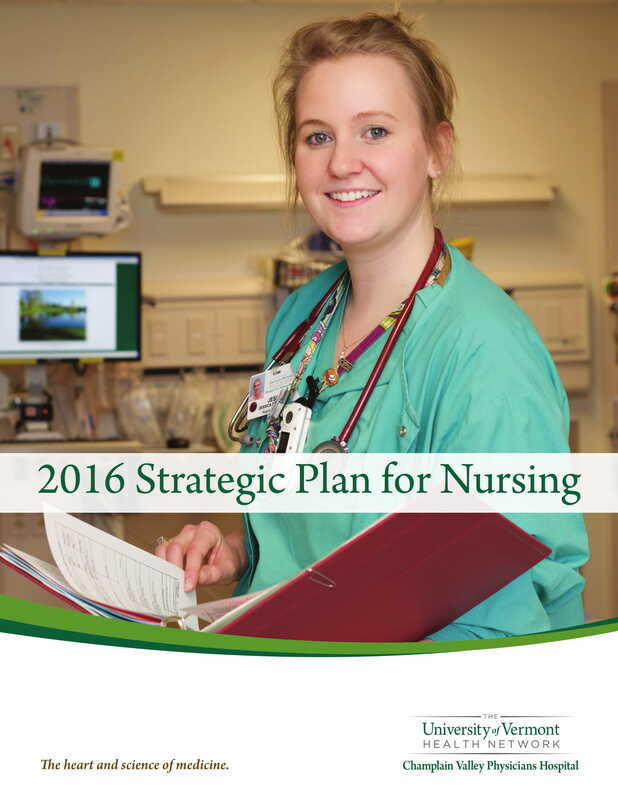 A nursing strategic plan helps nurses to become more alert and responsive. With this document, hospitals and other organizations can designate work responsibilities to the nurses in a way that the needs of patients, communities, and other entities can be given in a timely manner. Creating a nursing strategic plan can help the team list down its strengths as well as its weaknesses. More so, it allows the nursing team and the organization to come up with plans that can fully utilize the deliverable of all the nurses. This can then open opportunities for growth and development. Having a nursing strategic plan can present the condition of the nursing team at the moment. It can discuss about operational lapses, training standards, and other issues that can affect the performance of the nurses. This is a great way to create action plans that can bridge the gap between the current state of the nurses and the condition within the operations where they aspire to be. Developing a nursing strategic plan can concisely define the steps that are needed to be taken so that the plans of the team can be implemented and the goals of the organization can be achieved. It can organize all work processes and other transactions where nurses are involved. This is a great way to create a tactic where involvement and collaboration among team members is evident. Coming up with a nursing strategic plan can create a communication channel where nurses and other entities within the team can collaborate and talk to one another to ensure that proper measures will be considered within the planning of new action plans and strategies. This is a great way to ensure that the nursing team are well-aware of the issues and concerns surrounding within the operations and that they are willing to participate in coming up with solutions to problems and weak points of nursing processes. It is essential for all the action plans and strategies that you will develop to be based on the current practices of the nursing department. You have to ensure that you will rely on credible evidences and firsthand information for your plans to be applicable to the operations of the facility. Keep in mind that strategic planning requires the presence of measures or metrics that can evaluate the results of action plans and other efforts. You have to ensure that you will develop and incorporate an evaluation process for the nursing strategic plan that you will create. It is important for the person who will create the nursing strategic plan to be knowledgeable of the document’s purposes. Veering away from the objective of the document can only weaken or lessen the effectiveness of the document. Just like when creating a security strategic plan and other kinds or types of strategic plan documents, you have to be aware on how to properly format the document. You should create a layout that can make the document look presentable, well-arranged, and organized. 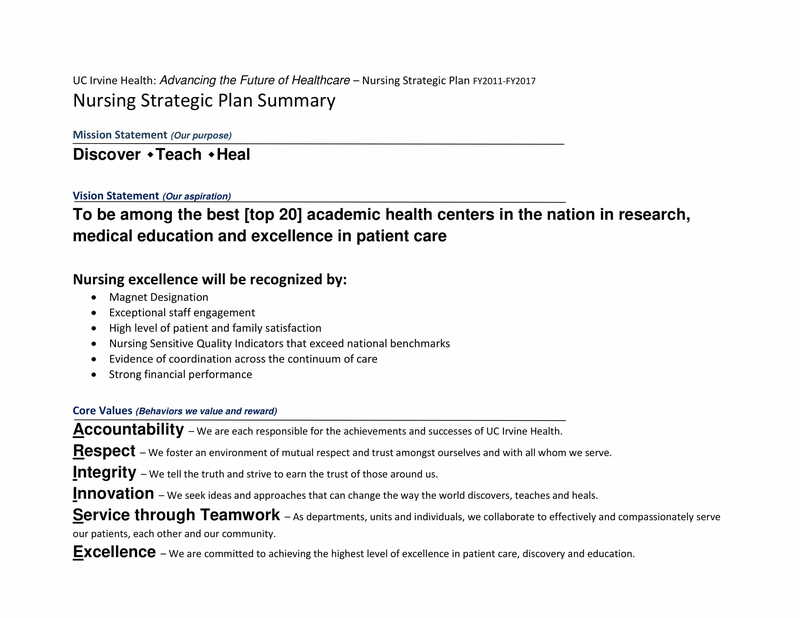 You can use templates as your references if you want to come up with a nursing strategic plan that is polished and formal looking. List down all the key factors that can affect the effective implementation of the nursing strategic plan. You also need to consider the elements that can impact your activities or the processes where the nurses will be immersed in. 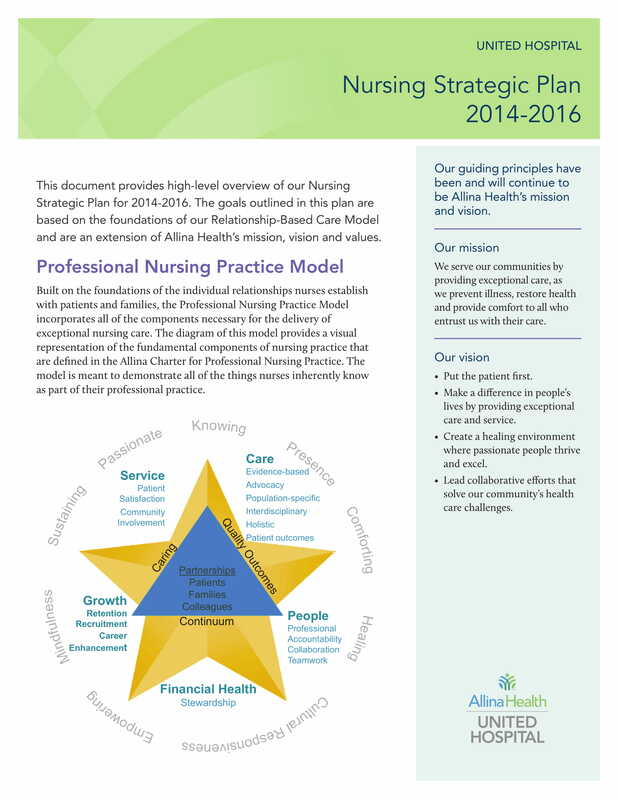 Evaluate the final draft of the nursing strategic plan. It will be great if you will allow decision-makers and other stakeholders to review the document first before implementing its content. This can help you gather recommendations and suggestions which in turn can improve the document’s content as well as its presentation. Moreover, this can help you identify errors that you can remove or fix before officially disseminating copies of the document to different entities. If you think that it is too hard, tedious, and challenging for you to create a nursing strategic plan on your own or from scratch, you do not need to worry as we have come up with a list of downloadable nursing strategic plan examples. 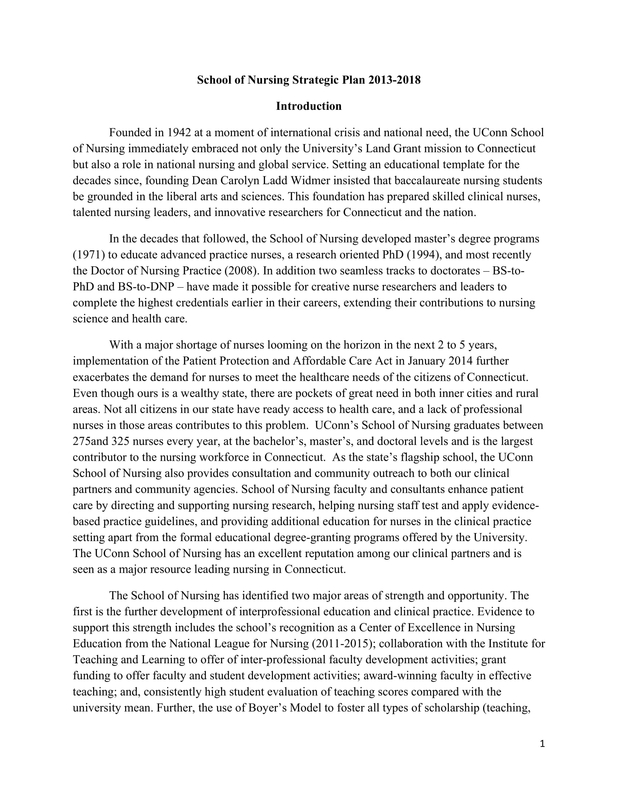 As we have mentioned above, you can just refer to these examples as they can help you with the development of both the content and format of your nursing strategic plan.